In a grim reminder of how deeply in a depression the US is (among other countries), Lord Jacob Rothschild, the financial oligarch dramatically decreased his exposure to what he called an unstable, risky US capital market. He is the founder and chairman of RIT Capital Partners. In the bi-annual financial report for RIT Capital Partners, he outlined the company’s aggressive effort to tone down exposure to US assets. “We do not believe this is an appropriate time to add to the risk. Share prices have in many cases risen to unprecedented levels at a time when economic growth is by no means assured,” Rothschild stated in the bi-annual report. Additionally, he stated that programs deployed by central banks such as the World Bank or Federal Reserve to prop up the hollow markets, such as quantitative easing (QE) will come to an end. 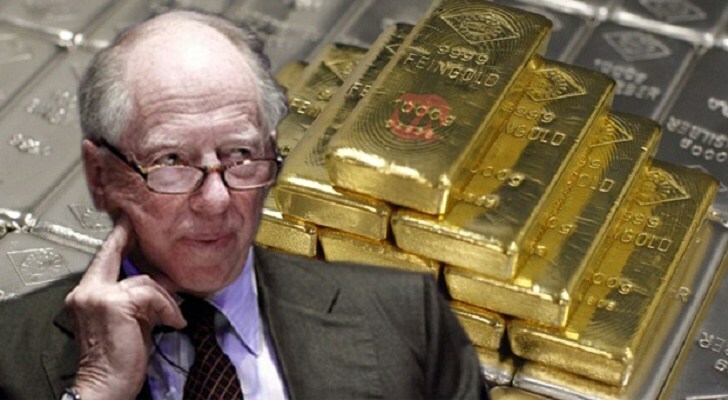 Rothschild reduced RIT Capital Partners’ investments in the US dollar by almost 50 percent. At the end of last year, RIT Capital reported a 62% net value asset investment in US dollars. Only 6 months later, the company reported a 37% net value asset investment in US dollars. From 62% to 37% in 6 months, with Rothschild still stressing that they need to dump more US assets, is a dramatic sign: especially coming from a man as powerful as Lord Rothschild. People think it’s all hype when it comes to Rothschild money, but if you read into the actual individuals in the Rothschild family and their positions at the top of financial entities, the full picture becomes clear. Yes, they do have a lot of hype surrounding the family name, but it makes sense. Rothschild individuals tend to hold a lot of power. Why do people think economic collapse may be on the horizon for the US? Maybe it’s because necessities are monopolized, and the only economic opportunities people at the bottom have involved commodities, and nobody can afford to support their fellow people selling commodities when they only have enough money to pay for their bare necessities. As people don’t grow food or produce necessities very often anymore, preferring to buy food from a Wal-Mart or Coles, the average person’s potential to support themselves doing some wholesome work anyone can do is very little. As long as average people are forced to try and scrape by working with commodities (unless they play in the system and work for some corporation), there will be no economy of the people.